Online ordering menu for The Original Wing Busters & More (STATE AVENUE). 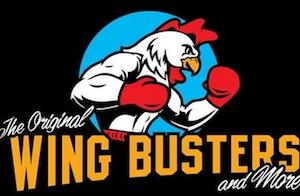 At Wing Busters, we pride ourselves in providing food busting with flavor without busting your wallet. With over 40 wing and flavor combinations, along with fish, philly's, and burgers we've got you and the whole family covered. Find the Best Wings in Town near the corner of N 75th and State Ave., near Ace Hardware, across form Wyandotte Plaza. Order Online today!